Dedicated employees who help your business or organization thrive deserve to be recognized for their loyalty as they reach milestones of service. Rewarding or recognizing employees as they reach one year, five years and more is a thoughtful way for employers to make sure they know their work is appreciated. Rather than offering a generic gift that with the passing of time may not even be remembered as a commemorative award, you can easily personalize all types of beautiful items with names, dates, and quotes to show how special a person’s service is to your organization. These ideas cover a range of bases and environments, and each lets the recipient know that their years of service are being recognized appropriately. Often the first year of service is overlooked, but it can be an important milestone for employees. This is especially true in the case of entry-level or younger employees where this is their first full-time career out of college. Although there may not be a lot in the budget to mark every year of service, make a big deal about those first 365 days with coffee mugs. Simple and practical, they are a nod to the office lifestyle that still has plenty of potential at home. Instead of a solitary mug, offer a pair or even a set of four tall ceramic coffee mugs. 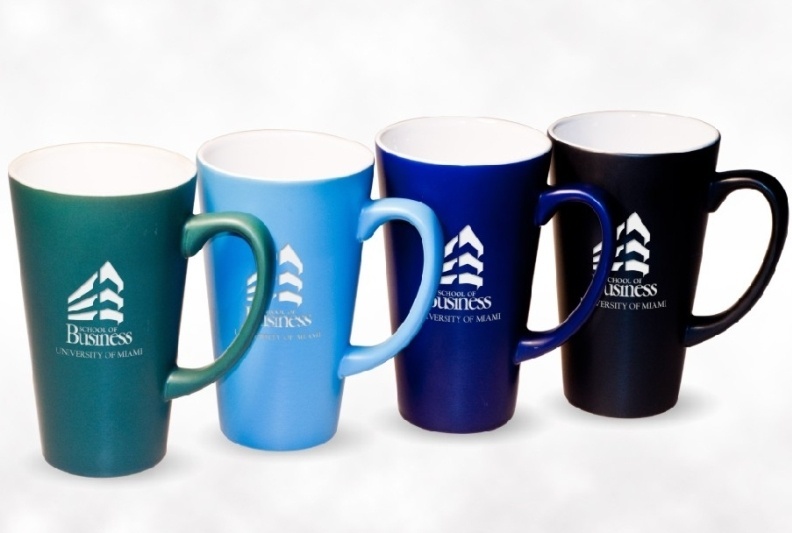 Engraved with the company logo or name on the mug, or simply have “One Year!” engraved on each. Today’s workforce is transient, meaning that many employees move from company to company frequently. Staying with one business for five years is a significant milestone that shows true loyalty and commitment to the company. Hopefully these kinds of employees will stick around for another five years or more, so get them a gift that will continue to show your appreciation for their dedication to your business. A business card holder name plate is the perfect way to show your pride for a committed staff member. Splurge on a new pack of business cards, and engrave the crystal name plate with their full name and professional title to dress up any desk. Ten years with the same company is the sign of serious commitment and loyalty, so businesses should absolutely take the time to find a meaningful gift to celebrate this special occasion. 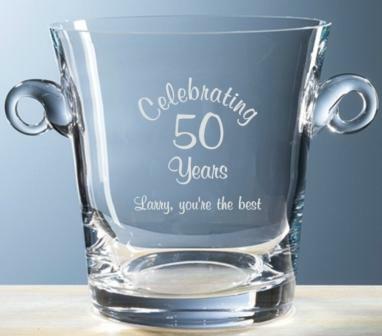 After this many years of dedication to a charitable organization or a corporation, the recipient deserves to enjoy a glass of champagne in celebration, so consider gifting an engraved crystal ice bucket. Personalize the sleek and elegant design with the number 10, the name of the company or the name of the employee celebrating the milestone. Don’t forget to add in a bottle of champagne or wine to round out the gift and add an extra special touch. Employees who have been with the same company and are reaching retirement deserve a special gift that reminds them both of their years of service and their relationships with colleagues. A pair of marble engraved bookends is classy and attractive, making it a fantastic choice for a gift that will look beautiful in any home. On one bookend, engrave the name of the retiree and their dates of service. 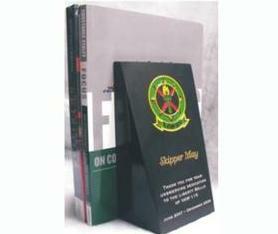 On the other, engrave the names of all their colleagues and friends who were a part of their time at the company. Whether an employee is marking a year of time with a company or a lifetime of service leading up to retirement, a personal and meaningful gift can go a long way in showing them just how valued they truly are. For more ideas about what to buy for your loyal employees to honor their service to your organization, call us today and we’ll help you find the perfect gift.